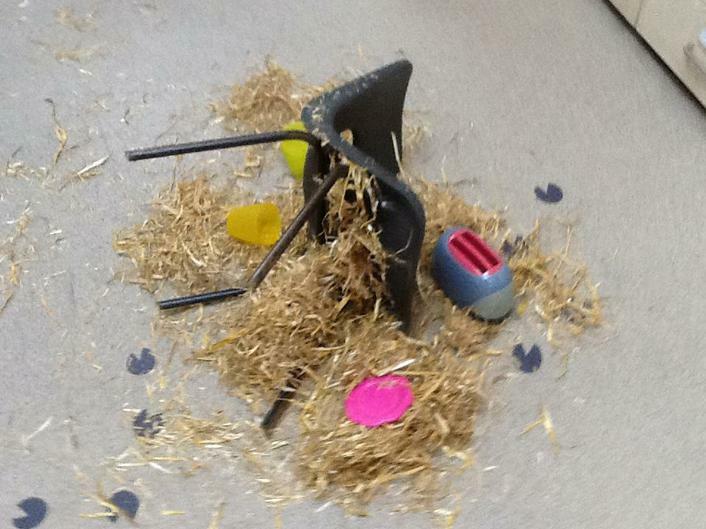 On Monday, we arrived at school to discover that someone had been up to mischief! 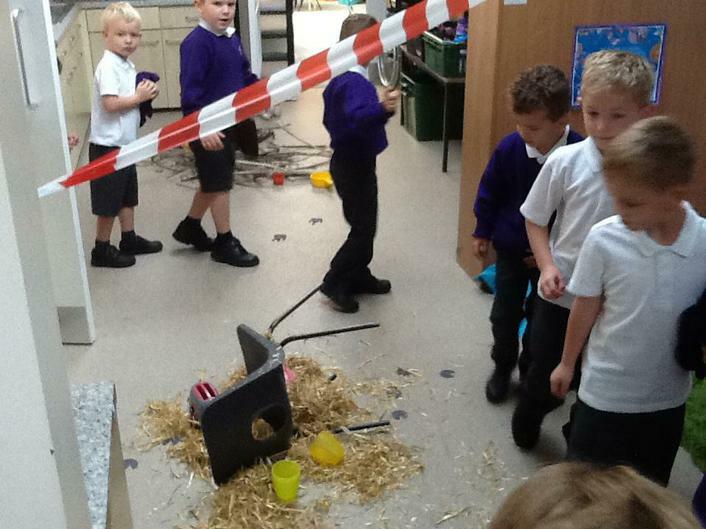 We looked for clues and found some footprints. Some were small and some looked like they were from a bear or even a wolf! 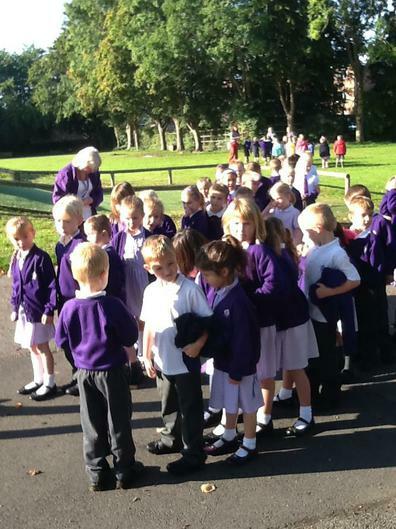 After looking all around school and finding more footprints, we decided that the footprints belonged to the wolf from the story of The Three Little Pigs. 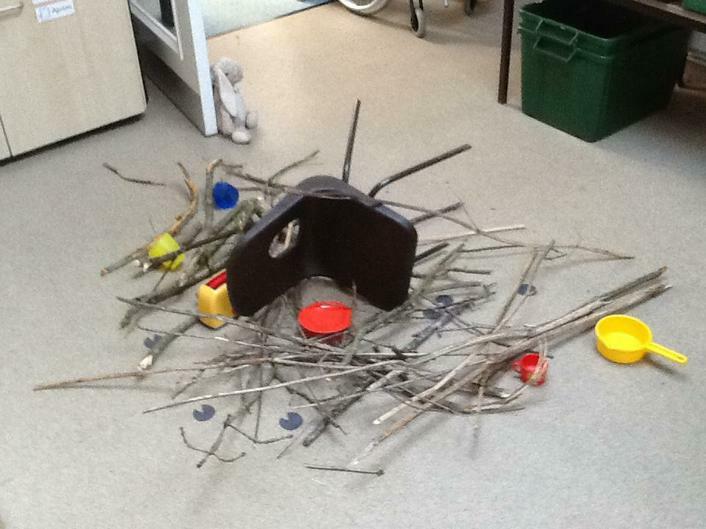 He had already destroyed a house made of straw and sticks so we knew we had to find the house made from bricks before it was too late! 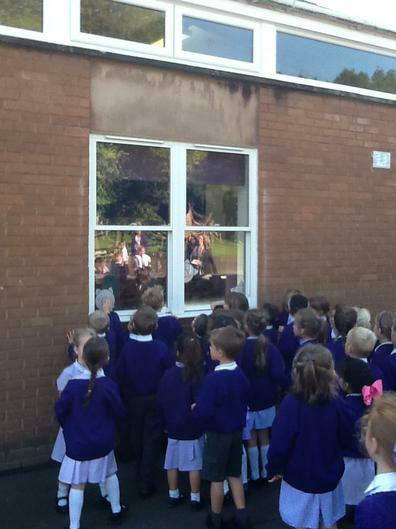 We looked very carefully and suddenly we spotted a brick house with the three little pigs hiding inside!